Sony may have disappointed by backing out of bringing Ice Cream Sandwich to its PlayStation-certified Xperia Play, but there are still several other Xperia devices out there due an upgrade to Android 4.0. Having recently dealt with the Xperia Arc and Neo, next up is the pint-sized pocket slider, the Xperia Mini Pro. As you might expect, this will include Sony's usual UI customizations, but considering the Xperia Mini Pro's rather unique form factor such additions may be welcome in this case. 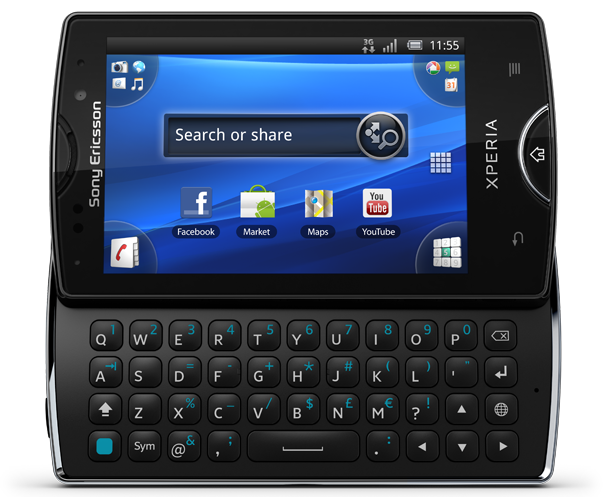 With many of its QWERTY brethren such as the Droid 4 or Captivate Glide still awaiting Ice Cream Sandwich updates, this makes the Xperia Mini Pro a rare device indeed. Sony is also bumping its budget music-centric Live with Walkman model to ICS from Gingerbread, and you can expect the Xperia Mini (keyboardless) and Xperia Active to follow suit shortly. Check Sony's release post for info on exact model numbers, and the ensuing discussion in the XDA-developer subforum at the links below.